Born in Yorkshire in 1958, Simon Gudgeon lived on the family farm deep in the countryside. He became a solicitor after studying law at Reading University and only started to paint in his thirty’s, first exhibiting at London’s Battersea Exhibition Centre in 1992. At age 40 an impulse buy of artist’s clay led him into his new career as a sculptor. Since then Gudgeon has attained worldwide recognition with exhibitions in London, New York, San Diego, Paris and the Netherlands and his works are featured in important private collections. In addition, he has work in several prominent art museums in the USA, including America’s National Museum of Wildlife Art and the Leigh Yawkey Woodson Art Museum. Simon Gudgeon sculpts primarily in bronze and occasionally in marble, granite, glass or stainless steel. For the modelling of the form he uses a number a different materials, depending on the nature and scale of the subject- terracotta clay, oil-based Chavant clay, epoxy resin or foam. 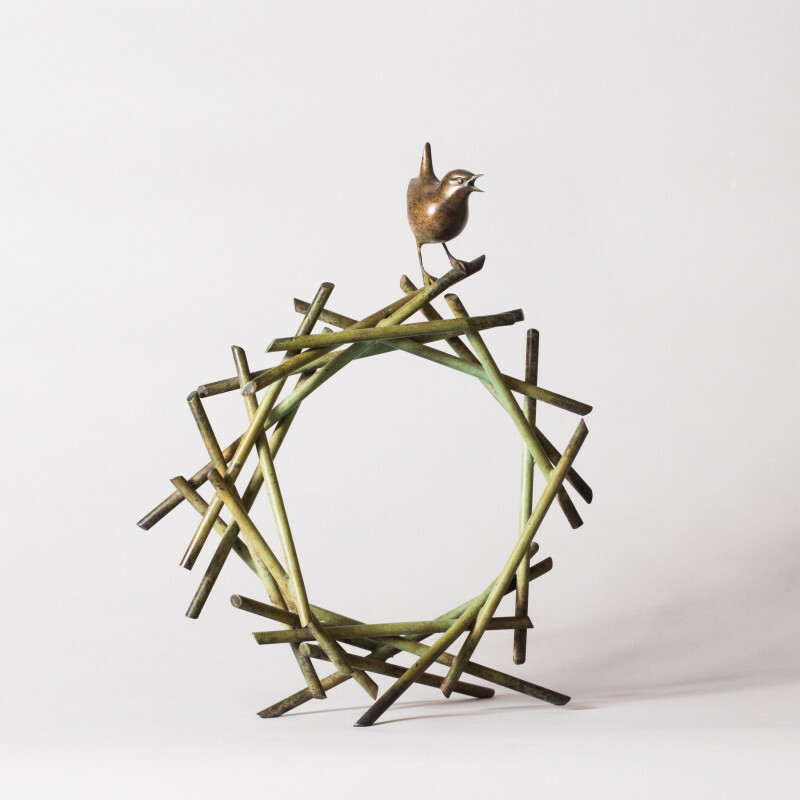 He is particularly known for his sculptures of birds in flight, often with ingeniously engineered bases that seem to launch them into the air rather than anchor them to the ground.